Once upon a time over a billion years ago.Our mother earth was born and that's all we know. Although the birth of our planet is one big mystery.Our earth, our mother has generously made history. Today is a wonderful time to honor our mother.The energy we give and the energy we receive, is like no other. We are the helping hand that feeds.Let us love our earth, as she has very special needs. Endlessly separating fact from fiction.The earth's controversy has created intense friction. Our lives depend solely on our planet.Do yourself a favor and make sure the earth's demands are met. Whether we are weak and whether we are strong.Let us gather for this special day, let us all get along. Human beings and species from around the globe and across the ball.Let this be an honorable day to walk tall. You don't have to be rich to plant a tree.The earth loves you all, can't you see? Whether you are black, white, purple, or green...Please take care of our planet, don't be mean. Whether you are black, white, orange, or teal...You only have one earth and that is what's real. In this world...we live, we die, and we remain.One thing is certain, the earth is what keeps us sane. The circle of life that breeds within our hearts.Treat our earth right by planting seeds in endless parts. Eight days before May...Let us celebrate Earth Day! After spending a wonderful day at Yellowstone National Park (which opens this Saturday, BTW) hiking and enjoying the picturesque scenery, I decided to cook some pasta. With that pasta, I decided to create my own vodka tomato sauce using fresh tomatoes, basil, and cream, as well as, an array of other ingredients. I also added some Absolut Peppar (which works amazing) and my secret ingredient, Cynar. I use Cynar because it brings the flavor to life, so you don't have to add anything to the pasta later. It turned out amazing, as you can see. It tasted even better than it looks and I still have a ton of leftovers just from this plate. I love martial arts! Especially Kung Fu (Wing Chun being my favorite followed by Jeet Kun Do). Recently, I am enjoying Escrima/Kali, Muay Thai, Kickboxing, Brazilian Jiu Jitsu, and Judo. I also am enjoying Boxing, as well. If you are looking to not only discover a new hobby, but also channel your emotions, as well as, inner fighter, I recommend martial arts. It is a great way to challenge yourself not only physically, but mentally and emotionally, as well. I am a lacto-ovo vegetarian and love discovering meatless (or veggie) alternatives. One of the best things about this particular eating lifestyle is the fact that it benefits you in a variety of ways, as it benefits society too. I am "silent" on the issue, so I am not going to brush my eating lifestyle onto you because I truly believe that if you want to be a vegetarian and/or vegan, it is clearly your choice. You don't have to be a vegetarian and/or vegan to enjoy these veggie dogs, as they are great for everyone, including those looking to enjoy a healthy product, dieting, or simply on a health binge. I have tried a variety of different veggie dogs from a wide-range of vegetarian and/or vegan friendly food brands. Some were amazing, some were great, some were good, some were ok, some were average, some were below average, some were bad, some were gross, and some were just plain revolting. I think you can kind of get the picture, if you know what I mean. 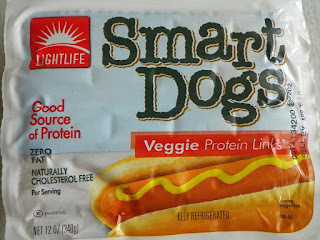 Recently, when shopping at Safeway in Dillon, MT I had the opportunity to try Smart Dogs, Veggie Protein Links by Lightlife. Do you know what I think? 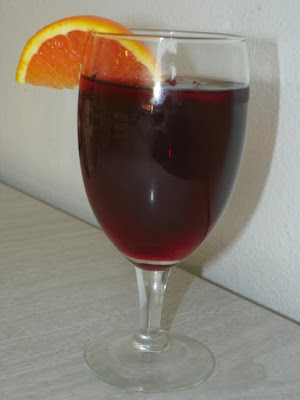 The taste is quite acquired, but very flavorful. The taste of Smart Dogs, Veggie Protein Links by Lightlife changes when they are paired with condiments and veggies. In fact, I think they taste amazing with condiments and veggies. How important are ingredients in the foods we eat? I would say very important. When it comes to possessing "MSG" (Monosodium Glutamate) Smart Dogs by Lightlife do not contain it, making this food relatively healthy. They are made with soybeans, which are not genetically modified. This is a good thing considering many scientists and food theorists have discovered many problematic health issues and risks due to foods that possess (GM) or have simply been genetically modified to fit the taste buds of palates. Although these veggie links are made from natural ingredients, keeping them refrigerated is a must. The texture is fantastic. This fabulous addition to Lightlife is everything, but impenetrable. When you cook them on the stove, they do not burn easily like some of the other veggie dogs I have tried in the past. In fact, they counter relatively well when you cook them on the stove. Whether you fry, boil, or even steam them. I have also noticed that they react very well when you cook them in the microwave. If you are currently eating meat, please note that if you try one of these hotdogs, you will notice a difference immediately. Don't expect your palate to change immediately after you eat these veggie dogs. 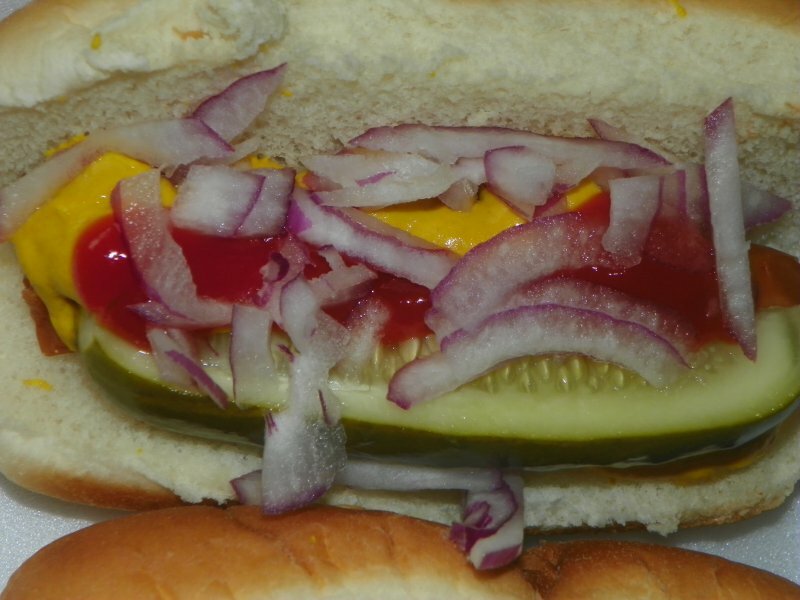 You may also find that the texture, as well as, taste is much different than an actual hotdog. In time, however; once you start eating these veggie dogs, your taste buds will get use to it. You can purchase Smart Dogs by Lightlife at an array of Lightlife retailers. They are available at just about every natural food store and market you can think of. These retailers include Whole Foods, Trader Joe's, Safeway, King Soopers, and many more. I also think I have seen them a few times at Walmart, as well. They vary in price, but are estimated to cost in between $4-$5 depending where you purchase them. Would I purchase them again? More than likely, yes. 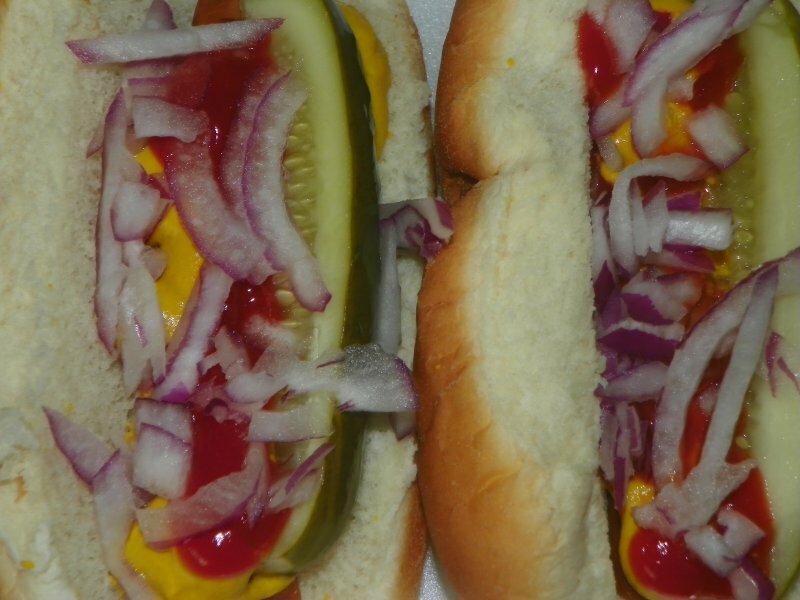 I have tried a variety of veggie dogs and these are currently one of my favorites. Would I recommend Smart Dogs by Lightlife to a friend? Most definitely. Yes. These are some very insightful yet interesting facts about the whole "Kony 2012" crusade. I have to admit, I actually bought into the "Kony 2012" movement simply because it is/was an act of awareness. It was taking a negative and simply making it into a positive, using a very deep yet moving message. The truth is, there is a man named Joseph Kony that really exists, but the documentary that is going around the internet projects an entirely different message than what really does exist. In fact, the newest video (the actual follow up) has disabled the ability to rate and comment via YouTube. To separate fact from fiction, I saw holes in this documentary the moment they mentioned Jacob. He is the only African boy they mention in the Kony 2012 video. The biggest problem that I noticed is that they fail to mention any other people who live in Africa. They use one person's alleged commentary to support an entire cause? A cause asking for your time and your money. Also think about this (and it isn't hard), if you were not a shady fraud, wouldn't you encourage dialogue and give individuals (especially Americans) that right to comment on something that is asking for their money and time? This entire movement has more holes in it than the finest Swiss cheese you can find. I have spoke with several individuals who have been banned by the Invisible Children Instagram simply because they picked out small these holes (which are passed off as alleged fact) that this entire campaign lacks absolutism. The Invisible Children encourages people to donate their time and money, yet when they are questioned, they ban people? Even when there is zero ad hominem involved? No spam ad nauseum either. That seems very shady to me. At this point, I do have a relatively mixed opinion on Kony 2012, but overall I think it is a ploy to generate revenue using an approach that lacks bona-fide knowledge. Great job Billy Housh for doing an incredible job filming this. If you cannot see the video, just click here.